We'll help you develop your appreciation for the premium, hand-rolled cigars featured in The Rare Cigar Club™ and The Original Premium Cigar of the Month Club™ by removing the challenge of consistently identifying high quality, flavorful and well-made cigars. 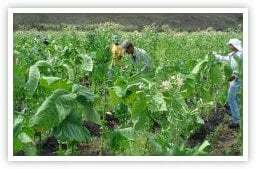 At the heart of our selection process is the fact that our panel of professional tobacconists smoke a lot of cigars each month. 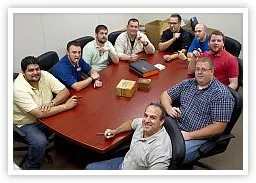 Nine guys fire up over 200 cigars a week rating each for proper construction, appearance, aroma, smoke volume and overall impression and flavor profile. We make sure each featured cigar consistently burns right and has a proper draw. We smoke a lot of bitter, harsh, improperly aged and poorly constructed cigars (not to the nub mind you) so you don't have to and less than 5% of those considered ever make it to you. The fact that we personally try every cigar we ship is part of what differentiates us from other monthly cigar clubs. Each of our nine cigar panel members offers unique experience in the tobacco industry, from growing, processing and aging tobacco to working directly with manufacturers to create exclusive blends. Rest assured, we're knowledgeable and passionate about cigars and we've got your back. Our guys spend nearly 6 months in man hours every year visiting top cigar producers in Nicaragua, Honduras and Dominican Republic. They're touring production facilities, working with producers to test and refine blends, inspecting final products, and most importantly in Central and South America, building relationships. Over the years, our panel members have collectively visited every cigar manufacturer in Central and South America as well as the Caribbean and have built strong, long-lasting relationships. That presents unique opportunities to be a part of creating and fine tuning blends as well as the ability to offer our members exclusive selections such as the Diesel Grind Perfecto, a 6x60 beautifully crafted cigar available only to club members. 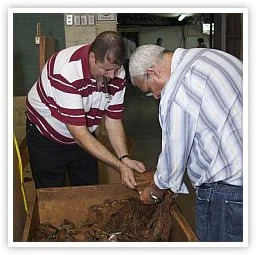 We're passionate about cigars and hope to share that passion with you.